Jazz was born in New Orleans in the early 20th century, but its roots can be found in the musical traditions of both Africa and Europe. Some say that it began in 1895, when Buddy Bolden started his first band. Others will say 1917, when Nick LaRocca and his Original Dixieland Jazz Band recorded the first Jazz record, "Livery Stable Blues". Eitherway, it grew rapidly, eventually finding its way to foreign shores, creating several iterations across different countries. 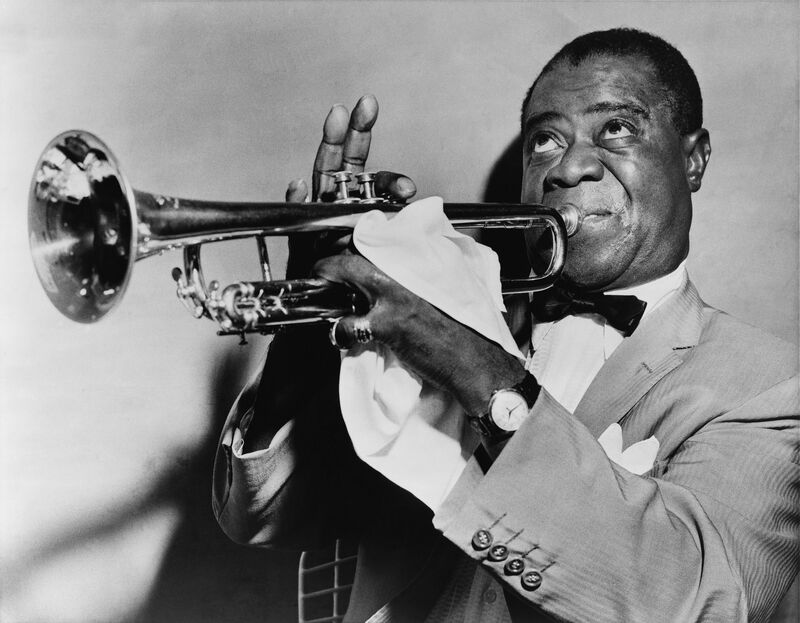 Some of the most famous American Jazz musicians are Louis Armstrong, John Coltrane, Thelonius Monk, Miles Davis, Duke Ellington, among many other greats. Introduced by American soldiers, the genre opened up many opportunities for Filipino performers who have turned it into a musical tradition in the Philippines. Other accounts say that its roots can be traced back to the early Filipino settlers of New Orleans. Jazz as an expressive and improvisational music has found affinity to the traits of being a Filipino. Escolta, Manila. 1950s | Harrison Foreman; American Geographical Society Library. “It was our top bands and variety stars that brought jazz all over Asia, from Hongkong, Shanghai to Tokyo and Harbin, to Singapore and Surabaya. Even the liners that crossed the Pacific moved to the ragtime of Philippine jazz bands,” once said by Nick Joaquin, National Artist for Literature. During the 30s - 50s, the Philippines became largely open to all things American, including Hollywood movies, food, and Jazz music. Some popular Filipino Jazz artists are Louie Reyes, dubbed the Philippine Queen of Jazz, Bong Peñera, Fred Elizalde, Tito Mina, among many more. Philippine International Jazz & Arts Festival Foundation is a non-profit foundation with a vision to promote Philippine Jazz and Arts through the organization of an International Festival. It is the longest running jazz festival in the country and has been bringing the finest artists around the world including grammy winners and living legends to the Philippines to inspire and educate filipinos with jazz music. Their goal is to promote musical growth through cultural exchange, where artists and audiences from different parts of the world share styles, disciplines, techniques and traditions. The festival was created in order to study and preserve the rich history of jazz in the Philippines, upgrade Filipino quality of music to global standards, provide career opportunities & education for our Filipino musical artists, to regain the glory of the Philippines as the Jazz Capital of Asia. To kick of International Jazz Day, the festival will begin festivities on April 30th. To be followed by a series of jazz performances around Metro Manila from May 1 - May 3. A grand culmination will be held on May 4 at the Jazz Gala Night featuring three simultaneous performance stages the Alphaland City Club, then a closing performance at May 5. So if you're looking for your next Jazz fix, make sure to drop by the festival and be part of preserving a long-standing tradition of creativity and music.